Every company must stake its own space in the marketplace to survive. In order to successfully interact with your customers, each business must decide on the best course of communication. This function is facilitated by your company’s marketing budget. Each business owner is an expert in their given area of practice. Everyone needs customers, yet often, stakeholders haven’t been provided with a game-plan of how to reach those customers through advertising. We’re providing a roadmap for your future marketing budget. The purpose is to help the business owners focus their resources for the best ROI on their investment. If you begin with a focused process, your odds of success greatly increase. When deciding on a typical marketing budget, there is no definitive answer on the dollar amount a business should spend. How much you plan to allocate depends on a number of variables including the industry you are in, the size of your business, its growth stage, your annual revenue goals, your projected sales, your cost per acquisition, whether you are willing to spend on websites, mobile apps or some other long term project. It may be helpful to examine some methods of determining marketing budgets and average percentages that companies use in their calculations. You need to determine your marketing budget wisely and not depend on what is left over after your business expenses are covered. We are here to give you some guidelines that you can use to determine your marketing budget. As a general rule of thumb, Colure Media suggests that the marketing and advertising budget should be on an average 10% of the company’s overall revenue. This budget should be split between brand development costs including the channels you use for marketing and the costs of promoting your business (campaign, events, and advertising etc.). The percentage of revenue calculation should account for possible additional factors such as new product launch, new market entries, and mergers/acquisitions. For companies who are unsure of their revenue goals or don’t know their exact overall revenue, we suggest calculating their marketing budgets using cost per acquisition (or CPA). Using a CPA, we help companies reverse engineer their budgets by understanding their sales goals. For example, if a company wants to sell 10000 units of something and if they know their CPA, they can calculate their marketing budget by multiplying their sales goals of 10000 by CPA. It is very important to re-examine your CPA, as this is a number that you want to optimize. Your goal is to make it lower since you want to receive a higher rate of return on every dollar you spend on marketing. Continually look around for new and more effective methods of reaching out to your target market. The use of new and improved technology can help you optimize your cost per acquisition. If you are seeking out the development of projects like mobile applications, website development, and mobile marketing (or some other long term project), our advice is that you pull that project out of your total budget and calculate its own budget as a separate line item. The reason being is that these long-term (5 to 7 years) marketing tactics require an initial heavy investment and small investments later on. You are better off doing an initial investment of around 8 to 10% on these large projects and then 2% of your annual revenue toward web development for the next 3 years. After that, you need to put money only for updates and maintenance for the next couple for years. Once you have set your marketing budget, remember that it is not a fixed value. There might be times when you will be throwing in another unplanned event or campaign. The main thing is to know whether your spending is giving you your required ROI. One of the biggest issues facing new and existing businesses is that they may not know what their marketing and advertising budget should be. Often, businesses don’t understand the process of media planning. Many times budgets are set blindly, with a number just being thrown into the air and hoping that it lands on the success outlined in their business plan (if they have created one). At the end of the day, a business with unlimited funds can spend plenty of money and time running test after test, but they may sacrifice market share to competitors (who may have inferior products/services) who are knowledgeable and have navigated these seas time and time again. Blindly throwing money at your advertisements is not the answer. Define your goals. Examine your numbers. Start with a solid plan that can be modified, with purpose, as time passes. We hope that this will help your gain a better perspective on your marketing efforts. 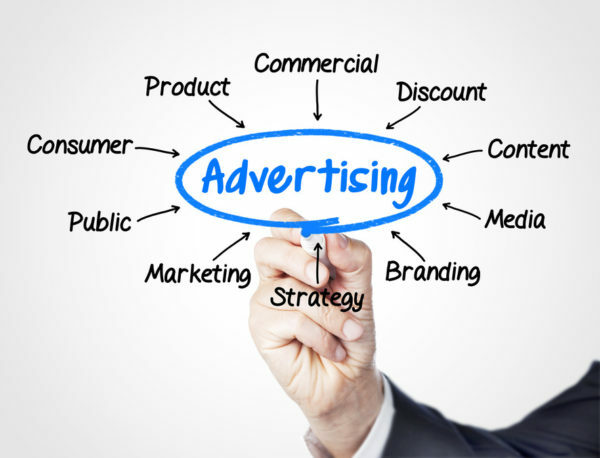 If you want to discuss your advertising needs, contact Colure’s Project Managers to help you reach your target audience.